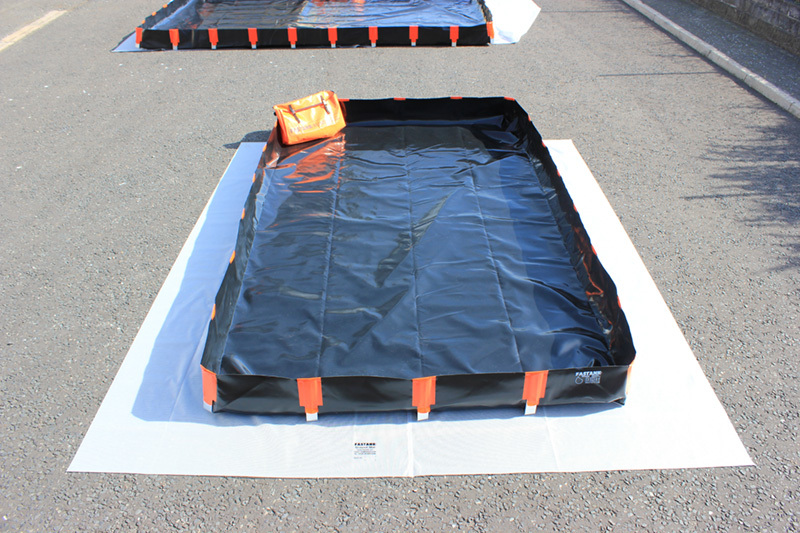 A multi-purpose secondary containment system to catch fuel or chemical spills. Meets environmental legislation – ISO 14001 and Control of Pollution (Oil Storage) Regulations (NI) 2010. Our bunds come in 8 standard sizes with capacities from 250 to 4000L. However FASTANK® will also make custom Bunds according to our customer requirements. We manufacture 8 standard sizes but regularly make to customer requirements. We recently manufactured an 24m x 5m bund for a customer. Phone us on 028 9442 8686 to find out more.